What is dental bone replacement (bone graft)? Bone replacement is one of the latest dental novelties; it may be a solution for different kinds of dental bone defects. Such defects may evolve as a result of trauma, cyst, tumour, bone disease or an edentulousness. The decrease of the bone amount is mainly caused by the loss of a tooth, as it results in the cease of the mechanical stimulus that affects the bone; therefore the bone tissue begins to waste away. another person’s (allogenic) bone. 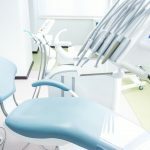 Hungary has just stared to get acquainted with this method; and Europe Dental joined the users of this technology among the first ones in the country. Read more about technology. The intervention is executed with local anaesthesia (gaining own bone is executed with anaesthesia). 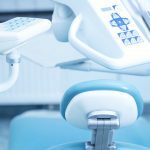 With the help of X-ray, the dentist cuts the gum in particular spots and creates a gingival flap with removing the gum that surrounds the tooth. The bone graft material is placed in the surgical area; then the area is covered with resorbable and non-resorbable membranes. These membranes protect and help the ossification. The sides of the gum are set together again with sutures (they are removed seven days later). Recovery takes three months after the intervention; during the recovery period the synthetic bone ossifies with its surroundings and becomes a part of the human body.